In 1988, with the object of providing interdealer brokerage services in Mexico, Central de Corretajes was created. However, since this service was not legally accepted at the time, its opening was postponed. Five years later, the legislation related to this activity changed, and in October 1993 Central de Enlaces began operations making it the first interdealer brokerage firm in Mexico. In February 1995, as a result of the financial crisis, the Mexican Central Bank decided to do an intervention in the forex market through us. Also in that year, we partnered with Prebon Yamane, an international interdealer brokerage firm, creating the new company Enlaces Prebon. In October of that same year we did the first CETES trade on our live platforms. As well as in the forex market, there was a significant increase in the debt market liquidity. As a consequence of the success on this service, money market operation on the trading floor of the Mexican Stock Exchange ended and was replaced with the brokerage firms. Also, this year we opened the Money Market desk in New York. With the idea of having a daily reference (index) for debt OTC financial instruments, we began to calculate the IEP (Enlaces Prebon Index) in 1996. At the beginning it was calculated using a very similar method to LIBOR. After 16 years this index is still calculated on a daily basis, currently it´s called I-PIP, done by the company Proveedor Integral de Precios with its own algorithm. This company also belongs to Central de Corretajes. Since 1996 we have promoted and implemented several derivative products. The most relevant of thisproducts is the TIIE Swap. The development of this market was done in conjunction with our partners Prebon Yamane in 1997, the follow year the first trade was executed. Nowadays this is the product with the highest daily volume in Mexico. We also did the first interbank auction, providing additional alternatives to trade financial assets. 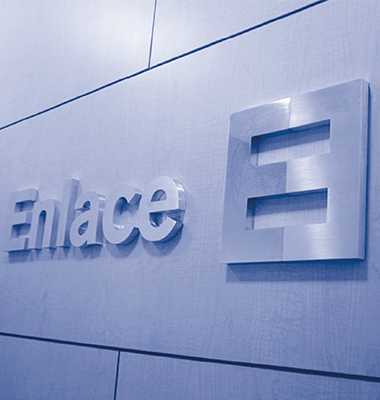 In 2002, after a successful seven year relationship with our partner Prebon Yamane, we bought its stake and changed the company name to Enlace Int. In this new stage we started the overnight funding market, corporate bonds and in the international debt market (Global Bonds). Regarding technology, since 2005, we have offered our customers the STP (Straight Through Processing) and established our system SEL for allocation and direct settlement to INDEVAL. The year 2005 was a breakthrough for Enlace since we opened our office in New York. We started the company with only four brokers doing TIIE Swaps, and after four years of perseverance and growth, we have taken the leadership in that product. Enlace NY allowed us to strengthen relationships with foreign Banks developing new products such as the Basis Swaps, UDI-TIIE, UDI-LIBOR. We also started to trade NDFs in Latin America. In 2009 we completed our initial trade as the first Introducing Broker authorized by MexDer. In the same year the purchase of a local Chilean broker was concluded and named Enlace Chile. Our presence in this country has been quite successful. Revenue has increased by a factor of 10 in the first three years. While this was happening, in Mexico we traded the first equity options trade in the Capital Market. We actively promote this market, despite of its low liquidity. In 2012 we bought another local broker with long tradition in Argentina in order to integrate Enlace Argentina. In 2013 we started operating in Colombia IRS from NY and we should be opening soon the local office. In summer of 2013 the final regulation of the SEF (Swap Execution Facility) was released in the United States. As well as us, all the parties involved in the Mexican peso Swaps trading have been included in this new environment. As a result we presented an application to the authorities of that country for constituting our LatAm SEF. During this 20 years which we have been offering our services, we can proudly state that besides doing the first operation in most of the products we operate, we currently play a leadership role in the markets of bonds, funding, swaps, equity options and peso/dollar.